Who: YOU! Members, non-members, family and friends! 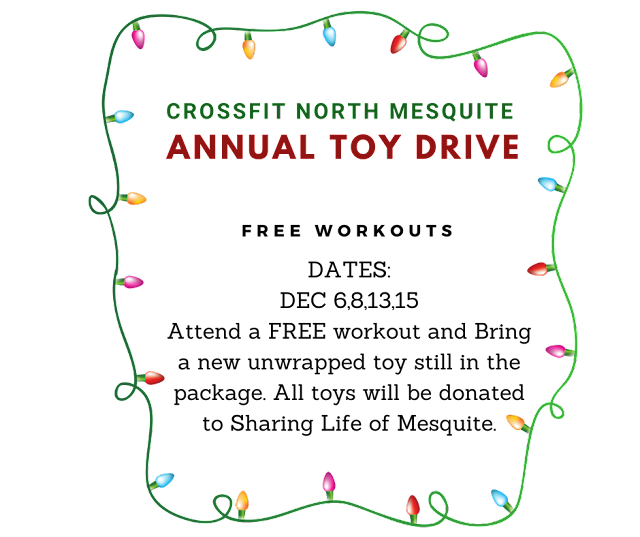 We will donate toys to Sharing Life of Mesquite. 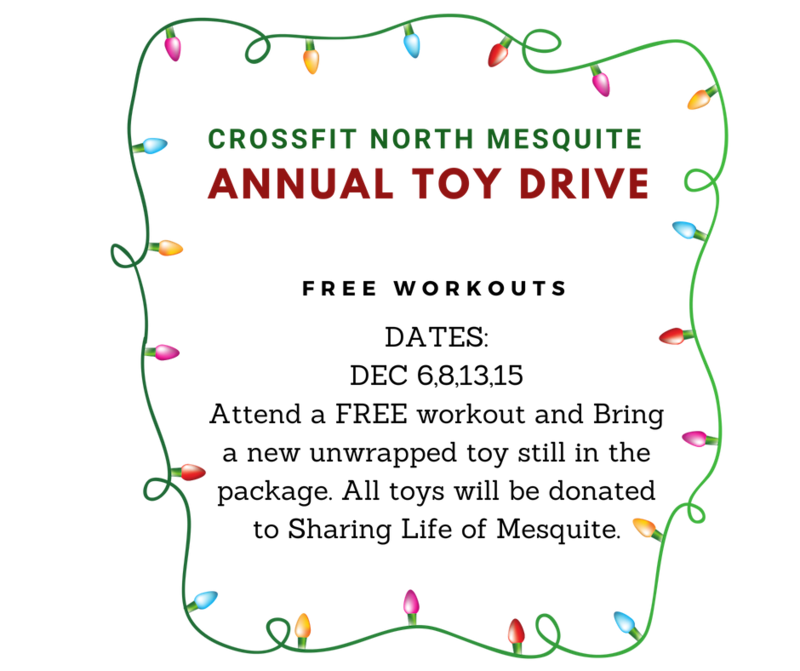 If you cannot make it to any of these workouts but would still like to donate a toy, just drop your gift off at the box! 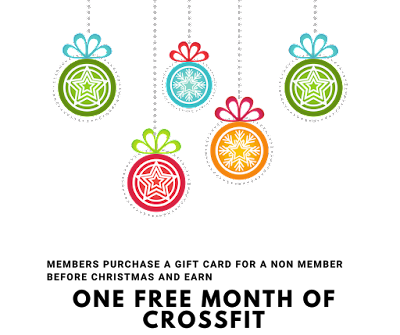 We hope you have a safe and wonderful holiday season! Order deadline is Monday, December 3 at midnight. 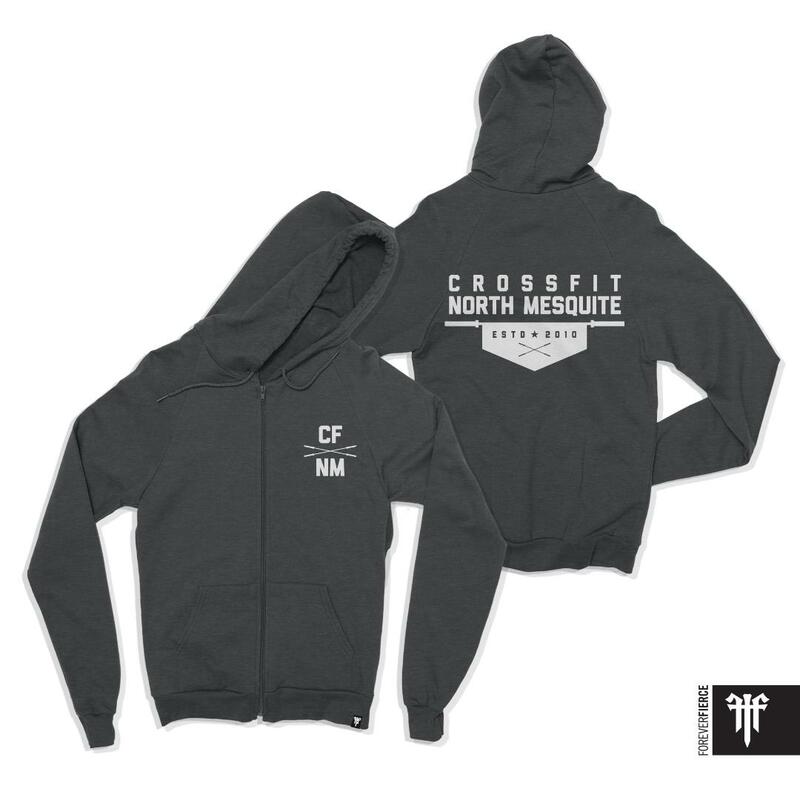 Everyone who enters (and pays for) a hoodie will be entered into a drawing to win their hoodie for FREE! One lucky person will get an early Christmas present! These are the WODS. You will find all of these WODs in Sugar WOD for logging on 12/2 using your calendar. WODs can be scaled in any way! 100 burpees for time can take you 7 minutes or 7 days! We won't judge! Do 200 single unders, row 1k instead of 2k. The purpose of the challenge is to get you moving during a time of year when life gets busy and the gym often gets neglected. We just want you to move! 1. Check in with the coach on duty and let him or her know which holiday wod you are doing. 2. Coaches have the right to stop any unsafe activity. 3. Classes take priority, so make sure you are out of the way and not using class equipment. 4. 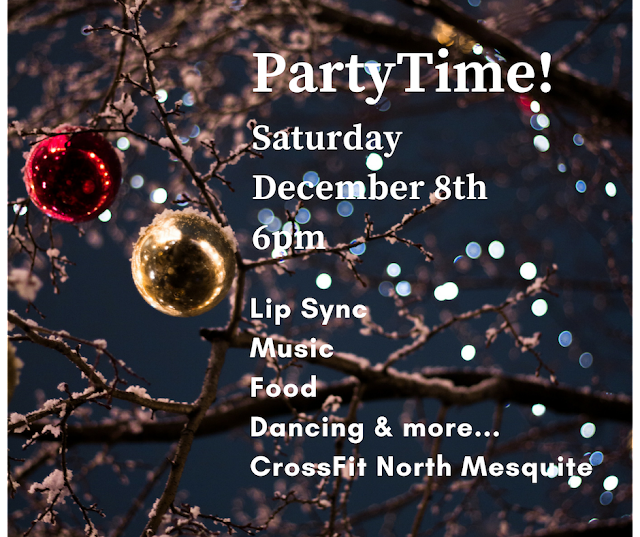 No WODs or barbell lifting outside of the Holiday WODs allowed. 5. Be safe and have fun!!! Start in December and you get 50% off January!